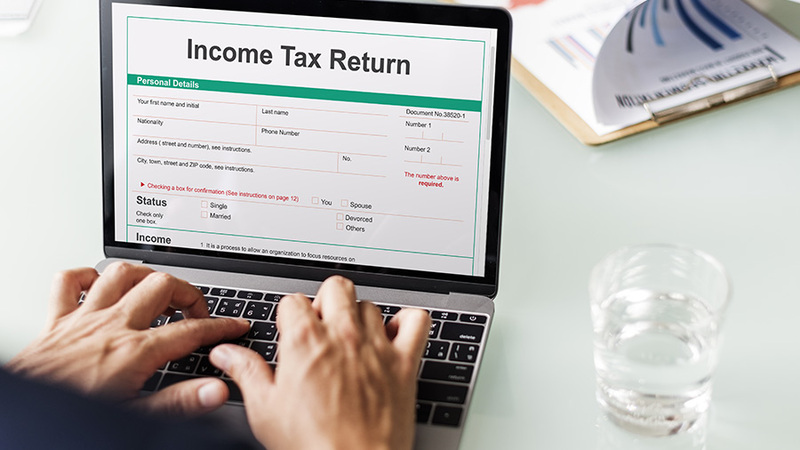 March 31, 2019, is the final deadline for individuals and businesses to file belated income tax returns (ITR) for financial year (FY) 2017-18. The deadline is also applicable for all those who want to revise their ITR for FY 2017-18. An Income Tax Return (ITR) is a declaration that you have an income for which you have paid tax. Filing of ITR is a mandatory obligation where you detail your income from salary and other sources, allowances and reliefs claimed, and investments made through the financial year (FY). While the official due date for filing ITR is July 31 of the assessment year (AY) – which is the year following the FY during which the income was earned, the income tax department keeps the ITR window open until the end of AY (March 31), for you to file the return belatedly. 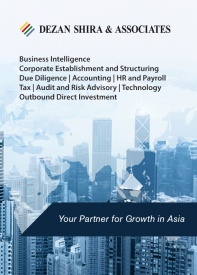 It is important to note that filing belated return means you will have to pay a late penalty of up to INR 10,000 (US$145), and will not be eligible to avail certain tax benefits. The process of filing a belated ITR is the same as filing a return before the due date. That is, assessees who earn a taxable income must declare their total income earned by filing an income tax return form. All income tax returns must be filed electronically. ‘Super senior’ citizens (above 80 years of age) or an individual whose income is less than INR 500,000 (US$7,258) and who has not claimed any refund in his/her return can file paper returns. These are the changes made to the filing procedure for the financial year 2017-2018 (assessment year 2018-2019). 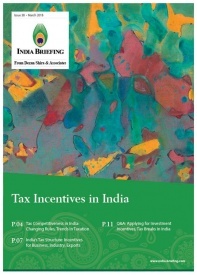 Below, we highlight the key steps necessary for filing tax returns in India. A Permanent Account Number (PAN) is absolutely necessary for filing income tax returns. It is a ten-digit number that is issued by the income tax department of India. It is issued in the form of a laminated card and will be used as your ID when registering on the Central Board of Direct Taxes (CBDT) website. The Supreme Court of India has made it mandatory for you to quote your twelve-digit Aadhaar number and to link it with your PAN card for filing income tax returns in India. Aadhaar is a unique identification number for every individual resident of the country. It works just like the Social Security Number in the US, and is issued by the Unique Identification Authority of India (UIDAI). There are several ITR forms prescribed for different classes of taxpayers. To check the type of form you need to apply for filing an income tax return, please click here. 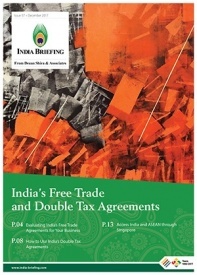 The forms can be found on CBDT’s website. Income tax slabs and tax rates are different for different categories of taxpayers. The federal government may review the different tax slabs during the Union Budget, which is presented every year in the month of February. 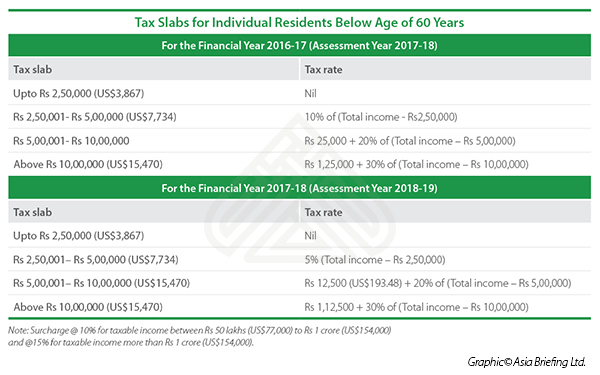 The respective income tax slabs for individual residents below age of 60 years and for businesses for the FY 2016-17 and FY 2017-18 are given below. The rates under FY 2017-18 are applicable for computation of income tax in FY 2018-19. There are separate rates for senior individual residents (above 60 years) and ‘super senior’ individual residents (above 80 years). 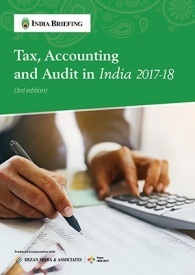 The tax slabs for FY 2017-18 are valid for the current tax filing year (AY 2018-19). In addition to the tax and surcharge, education cess @ 2 percent and secondary and higher education cess @1 percent will also be levied on the total tax computed. The cesses are applicable on all the categories of taxpayers mentioned above. What if I’m not based in India? 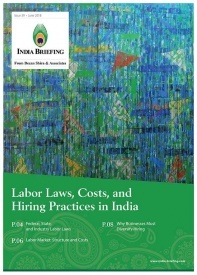 Companies and individuals not working in India but earning income from the transfer of capital assets situated in India are liable for tax. 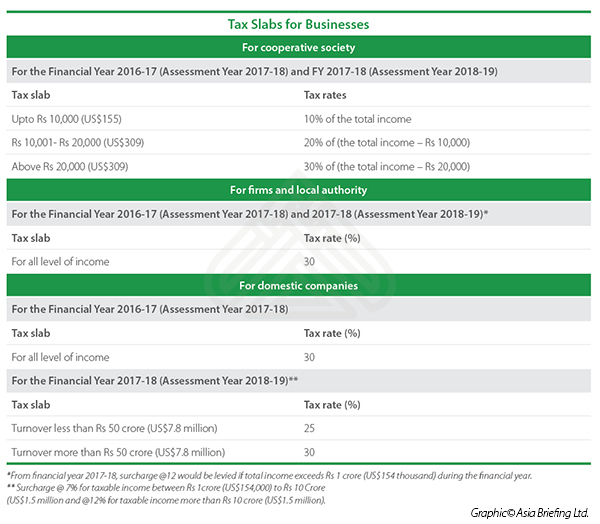 The tax rates for capital gains are given in the table below. You should then calculate your tax returns against the above rates of tax. You can use the tax calculator on CBDT’s website to do this. Make sure that the information you enter is absolutely accurate, otherwise your tax return application will be rejected. After using the tax calculator, you can then follow the prompts on CBDT’s website to complete your tax return. Alternatively, you can use a non-government website to perform the tax return for you, but these will invariably charge a fee for doing so. The income tax department has also introduced e-filing facility for filing of income tax returns. The ITRs forms are available for filing on the e-portal of their department. Having completed your tax return, ensure that you retain printouts and statements of your taxable income – these will be important if you are contacted by the tax authorities. Editor’s Note: This article was first published in October 2014, and has since been updated on July 25, 2018 as well as on March 27, 2019, as per the latest regulations.